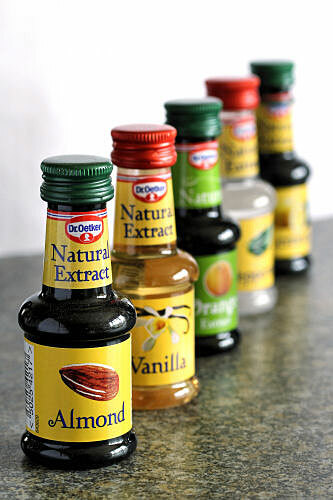 Recently, I was sent some natural extracts from Dr. Oetker to try, which included almond, peppermint, vanilla, orange, and lemon extract. They smell fabulous and give a great flavour to creams, fillings etc. For tips and recipe ideas, have a look at their Facebook page. 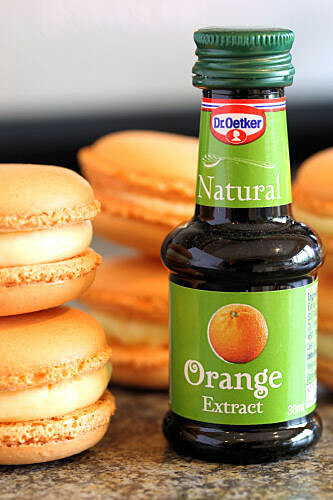 The orange extract was ideal for flavouring a simple buttercream, which I used in my St Clements macarons, along with some tangy lemon curd. I haven't posted about macarons in a while, but I've been doing lots of practice and they are much improved these days! Put the sugar and 2 tablespoons of water into a small saucepan and bring to the boil. The sugar will dissolve and turn into a syrup, cook until the syrup reaches 120ºC. While the syrup is getting to the right temperature, whisk the egg yolks in a bowl until pale and creamy. Add the syrup with the mixer on high, carefully pouring the syrup down the side of the bowl and onto the eggs, avoiding the beaters. Whisk on a high speed until cooled. Beat in the butter a few pieces at a time until the mixture is silky and smooth. Add the orange extract and mix to combine. Fill a piping bag with the mixture and pipe around the outside edge of half of the macarons. 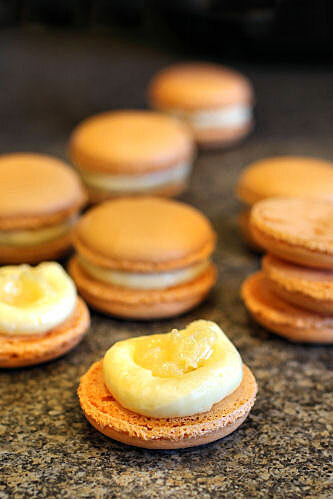 Fill the centre with a small dollop of lemon curd and top with the other halves of macarons. Note: if the mixture is a little runny to pipe, just put it in the fridge for 10-20 minutes until it firms up a bit. 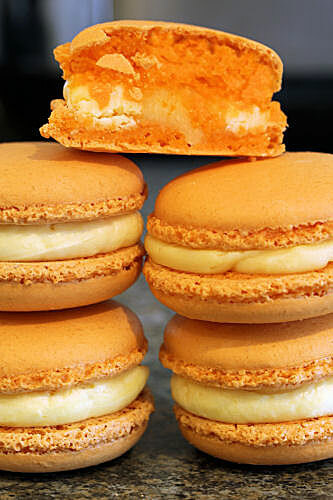 Chill for at least 3-4 hours before serving, and then allow the macarons to come to room temperature. A lovely range of natural flavourings, I hope they add some more flavours soon - including coconut (which is hard to find here) and rose. Disclaimer: I received some natural flavourings and some other baking products from Dr. Oetker, I was not paid to write this and all views expressed above are my own. i hope you found access to coconut extract--it's probably my favorite of all extracts! I am not sure I have the desire to make Macarons again but yours look so perfect! Loving the sound of your flavour combination too! I am not familiar with this brand of extracts but I love that they are natural and not artificial flavours. Wow... Your macarons look so perfect! I love that orange color. Very pretty.